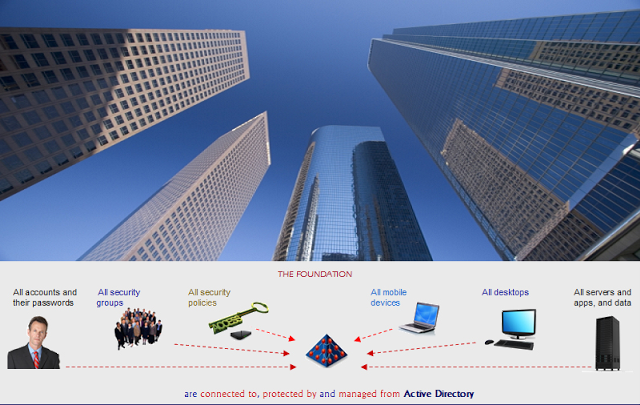 As you may know, today Active Directory is at the very foundation of enterprise security and cyber security, worldwide. 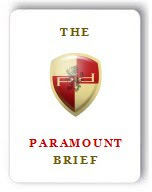 At Paramount Defenses, we go to great lengths to provide thought leadership in this vital area of cyber security, by not only delivering the world's most valuable Active Directory security solutions that today help secure and defend the world's most respected organizations , but also by responsibly sharing valuable subject matter expertise with 1000s of organizations across 100+ countries worldwide. 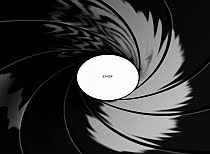 In days to come, we will be declassifying arguably the #1 Active Directory security risk that organizations face today. 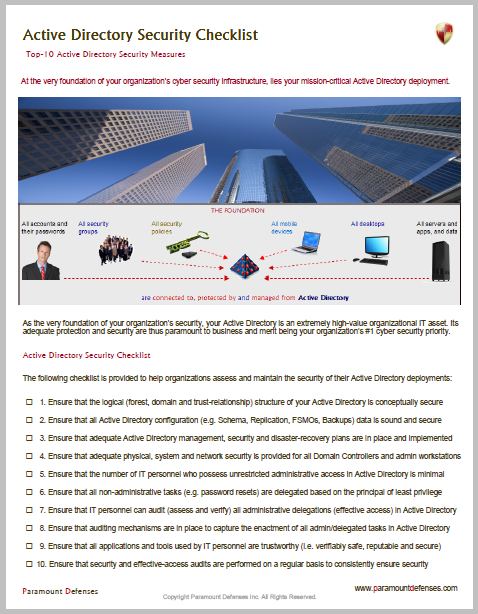 You can download this Active Directory Security Checklist by clicking here or on the image below. 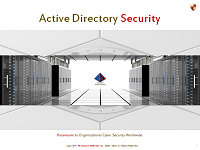 ﻿This checklist is intended to be a succinct, prioritized high-level check-list and is designed to help IT personnel assess the security afforded to their Active Directory deployments. 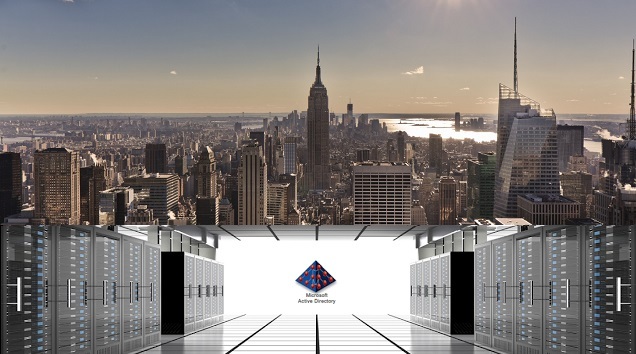 We humbly advise all organizations to take the security of their foundational Active Directory deployments seriously because a Microsoft Windows Server based IT infrastructure, and the entirety of IT resources stored and protected by it, are arguably only as secure as is its underlying Active Directory.